Join the Council for Adult and Experiential Learning (CAEL) in Chicago on November 6 to 8, 2019 for the convening that places adult learners at the nexus point between learning and work, the 2019 CAEL International Conference. Join us this year in the Windy City, where the agenda is, "Plug In: Energize Adult Pathways to Success." 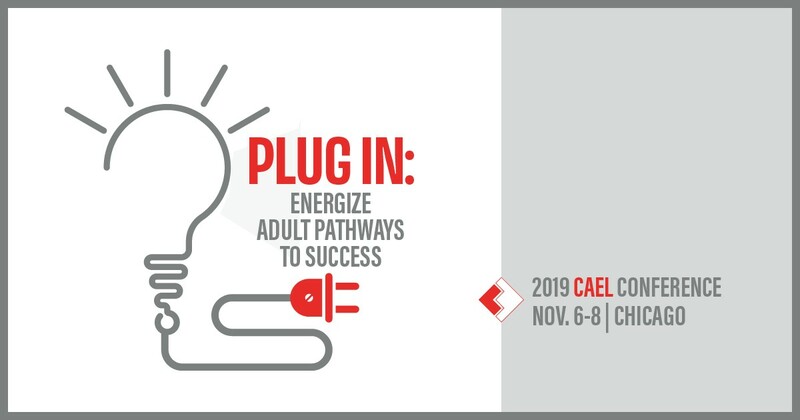 The CAEL 2019 conference is the place where advocates and experts from across the adult learning and work ecosystems can connect and recharge, whether they're coming from the worlds of higher education, employment, government or workforce development. The connections formed among this cohort, and the lessons learned from our speakers, are sure to be electric!